In 2014, I started a little project called the Life: Simplified Project. Since then, this post has been my most popular post on the blog. What did I learn about simplifying in 2014? I learned that it’s a process, and it can’t be done in a year. Learning to live simply is something I work on every day. I am always on the lookout for more ways I can simplify my life, and I love helping people like you simplify yours, too. Everyone’s idea of simplifying is different. 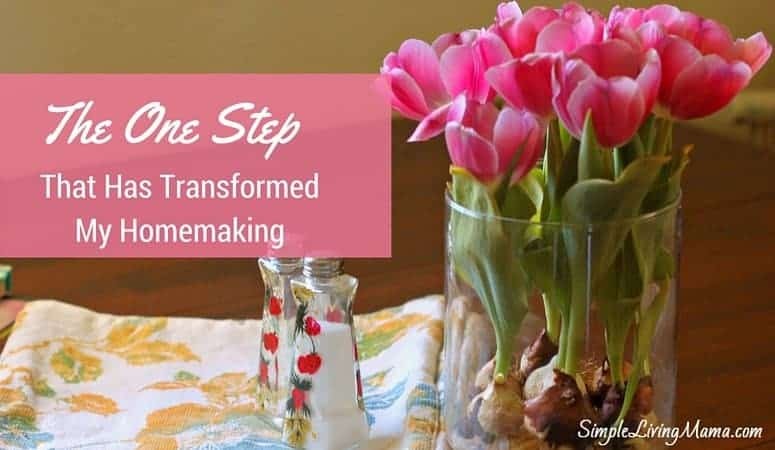 Here you will find projects and simple living tips to help you simplify your life. I’m constantly working on this, and adding more projects! Life has been a whirlwind. Some days I feel like all I do is go, go, go and rarely have any time at all to just enjoy my life. The to-do list is a mile long and never gets completed. I want this to change. One of the things I will be working to simplify is my schedule. I want to make sure the things that HAVE to get done, get done in a timely manner. No more procrastination! I will be clearing the clutter this year. We have TOO MUCH STUFF and none of it is organized well. We moved into our new home almost four months ago and it is now time to really get things organized. My children have so many toys and it is time for some of them to move on. We have a homeschool room in this house and it is on my list of things to organize as well! 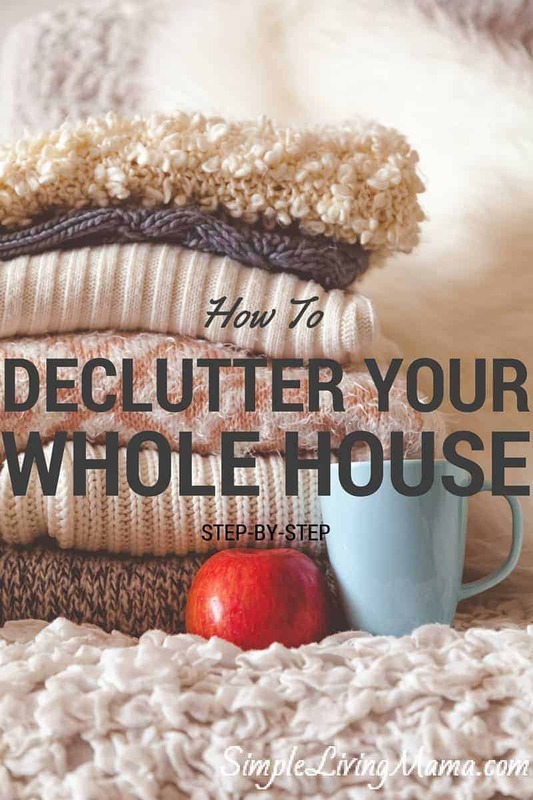 How To Declutter Your Whole House Step By Step – I have figured out the secret to decluttering. It is a process and I’m still not done, but I’m getting there! I LOVE organizing my house with these fabric bins from Walmart. They have lots of fun colors to choose from and I use them all over the place, in the kids’ rooms, in my bathroom, and in our homeschool room! I also use the drawer carts for extra storage. Right now I am using my cart to hold homeschool supplies, but I have also used them to hold cloth diapers. This laundry sorter has been essential to my sanity when it comes to my laundry. It’s sturdy and keeps the dirty laundry off the floor! We eat a fairly healthy diet already. It’s not perfect. I want to try new, healthy recipes and incorporate healthier snacks into our diet. The last thing I will be simplifying in 2014 is my grocery shopping. I am trying out once-a-month grocery shopping and tweaking it. I plan to share with you what I am doing. With three young kids, going to the grocery store weekly leaves my nerves fried. A new plan is in order! Update: I LOVE Once A Month Grocery Shopping. It’s such a time, money, and sanity saver! Check out my mini series on once a month grocery shopping! 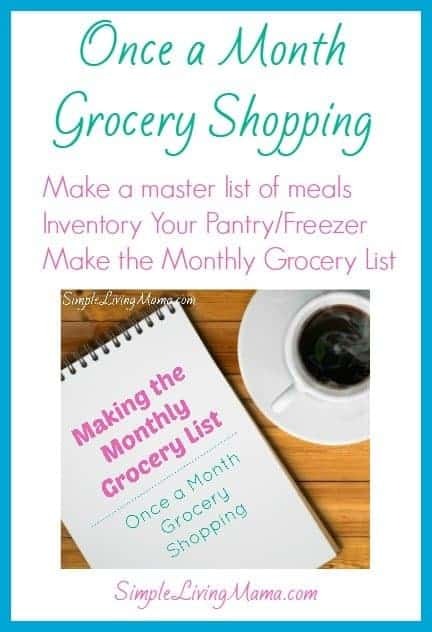 You can also simplify your life by planning freezer meals! We have simplified our finances, too! 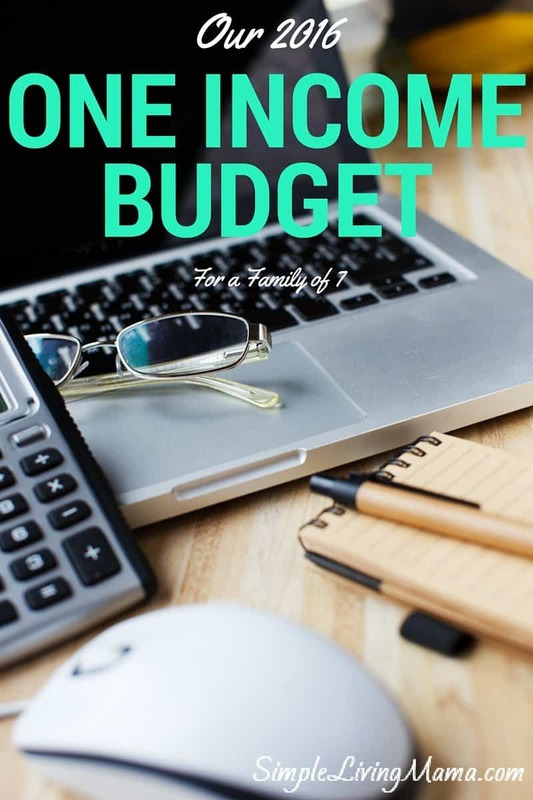 Check out our one income budget and our plan for getting out of debt! Why do I want to simplify these areas of my life? I want contentment. I want to appreciate what we have. I want my children to appreciate what we have. I want to live a less hurried/stressed life! 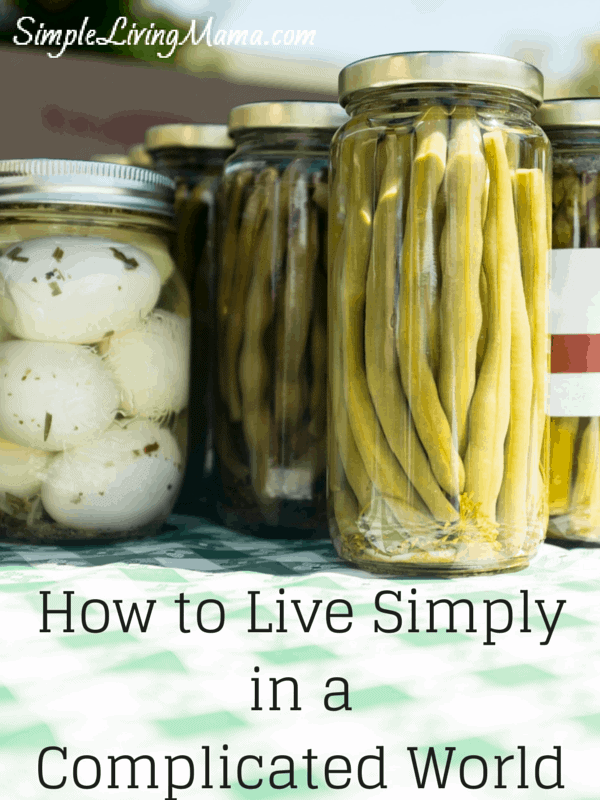 Simplifying is hard work at first, but I believe the benefits are worth it. 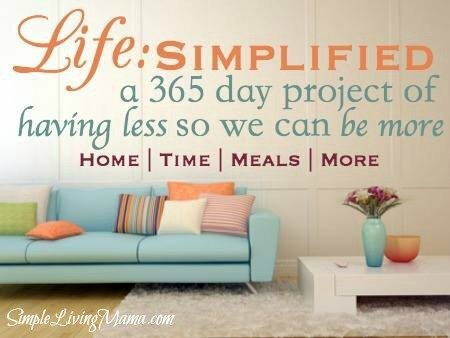 See all of my completed Life:Simplified projects here! I have compiled a list of resources to help you start simplifying your life. I will continue to add to this list as I find great resources! If you want a step-by-step guide to simplifying your home, I recommend Your Simple Home Handbook. This book contains 30 projects to help you get a handle on simplifying your home! Where do we start? Your side links aren’t taking me anywhere. Hi Diana! All of the posts will be coming in 2014. You can check out the group Pinterest board here to see what the other bloggers are doing. I’m not sure if by links you mean the pink headings in the post? I’m going to go back and edit to make it more clear that this is an intro. Please stick around and I apologize if I confused you! Hi Joanie, I’m in 2016 now and would love to see the archived posts…may I have the link please? Awesome, Leah! Christin from joyfulmothering.net will add you to the board ASAP! I love this! I’ve begun the process of decluttering our house/life and it’s been nothing but positive. I’m so excited to have found this blog! I would love to be a part of this and join the Pinterest board. It’s great to have you join us for the project, Katie! oh just what I need. 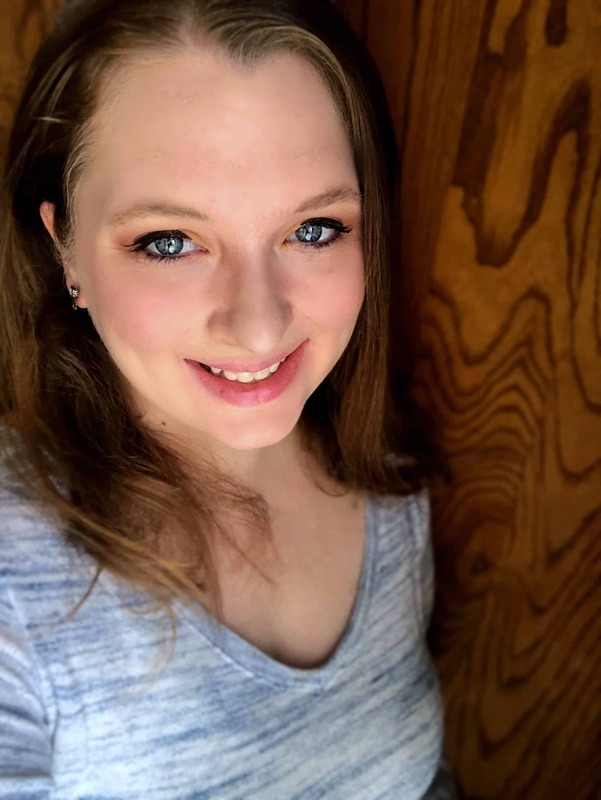 Lots of family changes this coming year and I just started blogging. I am a procrastinator out of fear, have been since I can remember. I don’t do the dishes some days because I feel I don’t have enough time to do it right. I AM DONE!!! cant wait to link up with you ladies. I’m so glad you are joining us, Tracy! Michelle@SimplifyLiveLove.com recently posted…What is a Passive House? Please sign me up! Ohiowiner on Pinterest. Hi Louise! If you follow me at http://www.pinterest.com/simplelifemama/ I should be able to get you added! Thanks! I am also simplifying my life! My blog is in dutch, but ofcourse you can all follow my pinterest 🙂 I hope I can still join! If you can follow me http://www.pinterest.com/simplelifemama/ I can add you to the board! I would love to get started for 2015! This would be so helpful!! I am definitely planning to continue working on my goals in 2015, Maria. You’re welcome to join! Simplify is my word for 2015! I will follow you on Pinterest. Great, Sabrina! I’m going to continue trucking along with my goals in 2015! This is my goal for 2015 as well. I’m hoping that joining others on the same journey will help. Thank you for this! You’re welcome, Beth! Here’s to simplifying in 2015! So glad I found you! Our family is on a crazy simplicity journey where we are downsizing from a house to apartment, selling most of our possessions, and getting out of dept. I love the simplicity community…it is so supportive. I would love to be able to pin to your life:simplified community board as I blog about our journey. Is this still possible? Hi Acadia! If you follow me on Pinterest I should be able to add you to the board. 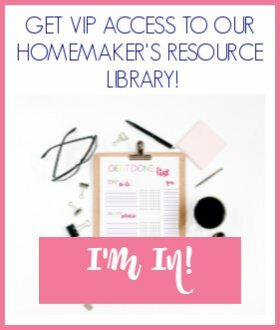 http://www.pinterest.com/simplelifemama/ Just leave me your Pinterest email! Great to have you along! i would love to join your Pinterest board! I’m trying to connect with more bloggers who are working on decluttering/simplifying. 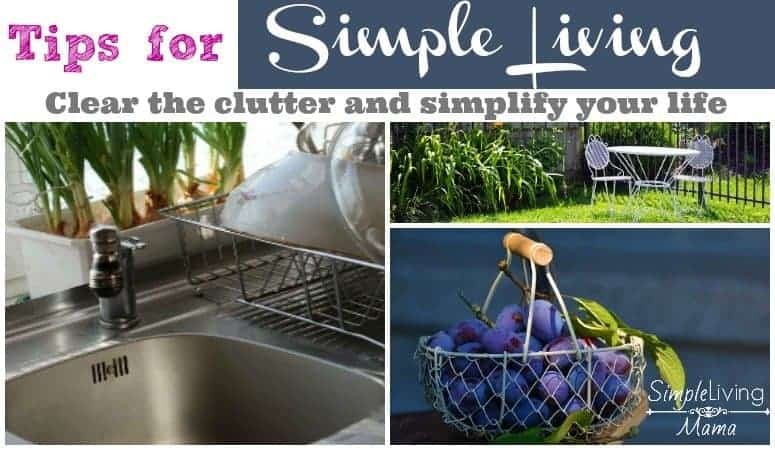 I’ve just started blogging 2 months ago and working to simplify by starting with the physical clutter. Stunning, Thanks for the excellent outline in simple living tips. Direct to the point and good explanations. Thank for sharing!